IS CFS PHYSIOLOGICAL OR PSYCHOSOMATIC? HOW WELL DID I GET? About thirty years after it first began to be diagnosed, the malady known as Chronic Fatigue Syndrome (CFS) continues to plague at least a million people in the United States and more overseas, where it is more widely known as Myalgic Encephalomyelitis, or ME. As a syndrome — or collection of symptoms and conditions, rather than a single disease — CFS is characterized by exceptional and prolonged exhaustion, unrefreshing sleep, various digestive impairments and other allergic reactions, and cognitive difficulties. It cannot yet be detected with a medical test, nor are there any proven modes of successful treatment. Controversy continues over the medical origins and exact nature of CFS, making it not just a debilitating disease, but a political challenge as well. Victims of the illness who can barely function in their daily lives face the additional burden of getting medical professionals to take their condition seriously. I was diagnosed with Chronic Fatigue Syndrome in 1985, when the diagnosis was still fairly new, and struggled through two years of declining health, then five more of a slow recovery, until I reached a point in 1992 where I could consider myself completely cured of CFS. While I sometimes experience faint echoes of the syndrome’s conditions when I am dealing with undue stress or a more conventional illness like influenza, I have remained in generally good health since overcoming CFS. Along the way, I decidedly became a new person — albeit one with higher energy levels and far greater capacities than I had before. That’s because CFS proved to be the inception of a profound spiritual crisis that changed the entire direction of my life. Without recognizing it as such, I believe that I could well have suffered with CFS much longer, and possibly still be inflicted with it today. The core of the story that follows was first published in Yoga Journal in the mid-1990s with the title “My Healing Journey Through Chronic Fatigue Syndrome.” It has been updated several times since then, and I’ve retitled it “A Spiritual Approach to Chronic Fatigue Syndrome” because I feel that the spiritual challenge and potential of CFS is too seldom explored. I offer my story not as a prescription or panacea, but as a record of one CFS victim’s experience that resulted in a complete healing. My hope is that current CFS sufferers will find an idea or two that may be of use to them as they negotiate a debilitating and often terrifying journey into the mystery of this illness — a mystery that, in my experience, extends to deeper levels than the perspectives of physiology, psychology, and medical science can encompass. It began in the summer of 1985, a few months before I would turn thirty-two, with a late-night stomachache involving extreme bloating and gas pains. No stranger to episodic intestinal trouble, I presumed the sickness would be gone in the morning, and promised myself to eat a little more carefully in the future. But I awoke the next day completely exhausted and still bloated, even though my stomach was now empty — a peculiar combination of symptoms that was unfamiliar to me. For a couple of days, I assumed I had a stomach virus. After several weeks of severe indigestion, declining energy, and low-grade fevers, I decided I had an unseasonable flu. After about one month and a useless visit to a medical doctor who was mystified by my complex of symptoms, I concluded independently that I had probably been exposed to giardia while swimming in a freshwater lake shortly before becoming ill. My symptoms weren’t quite right for that kind of parasitic infection, but I was worried enough to consider the possibility that something out of the ordinary was happening. I was now sleeping fitfully for ten to twelve hours nightly, but waking with less energy than when I went to bed. My memory and thinking processes had turned foggy, causing me to misplace my keys or wallet several times a week. I was experiencing traveling pains and weakness in my joints and muscles, most severely in my mid-back. And whatever I ate seemed to explode in my stomach. Except for a nine-week bout of mononucleosis when I was twenty, I had never been ill for so long — and this sickness was much more violent and progressive. I was beginning to lose weight steadily, if not rapidly, and I had very little energy for work. At the time I was a freelance phototypesetter working alone at night in an office full of cigarette smoke and photochemical fumes that had accumulated during the workday. I noticed that my symptoms either disappeared or escalated rapidly while I was at work — a common pattern for the early stages of chemical hypersensitivity, as I would learn a few months later. Lacking health insurance and distrusting conventional doctors, I pursued testing for giardiasis from the county health services. Increasingly convinced that I had contracted some kind of “bug” that was steadily destroying my health, I was also increasingly determined to identify and eliminate the evil foreign agent. My chronic discomfort and worry was turning into a helpless anger with an unidentified target. It would be a while before I began to realize that the same anger I was feeling had been there well before my illness, and was now only surfacing in my awareness. What has been going on here? No one has yet prescribed writing as the cure for a crisis in the gut, but I’m undertaking it just in case an elusive insight may make a difference. I have lost touch with why I have always written: to sort things out. And look at me now: I’m having a crisis of sorting things out, at the basic, physical, nutritive level…. The thought arises repeatedly: This discomfort and disease is only a warning, if sometimes a violent one. It will cause me to steer toward a new situation, whose particulars I can’t yet imagine. The first six months of my illness were a dizzying dive into nearly constant exhaustion, severe indigestion, muscle pains, migraine headaches, mental confusion, and emotional terror. By December 1985, I had suspended work entirely for a month, and although I would return to a light schedule afterward, my freelance business had been dealt a fatal blow. A longstanding if not healthy intimate relationship with a woman succumbed to the stress of the illness after only a few months, and my male roommate was made so uncomfortable by my condition that our friendship suffered significantly as well. I began to recede into a cocoon of suffering and involuntary self-absorption, able on many days to do nothing more than make a short trip to the grocery store. On other days I would sleep for up to sixteen hours, which seemed to do nothing for my fading energy. All the while, I was increasingly overtaken by a profound sadness and resentment, which I continued to assume were entirely the effects of my disease. I desperately wanted my normal life back, but it seemed to be slipping farther and farther away. An exception to my isolation was the care and attention of an old friend who was studying to become an acupuncturist at the time. The treatments I received at the clinic where she worked gave me my first hope that the course of my illness might be reversed, because I discovered that acupuncture provided substantial but short-lived relief from my stomach pains and briefly brought up my energy as well. Continued treatments with needles and Chinese herbs seemed to do nothing for my underlying condition, however, and I began to ask around for referrals to a medical doctor with a holistic perspective. Soon I experienced the first of many uncanny coincidences that gave me hope for healing, and that occurred more often as I learned to trust both my intuition and the logic of the illness itself — a logic that was certainly beyond my rational understanding. Waiting in a curtained treatment room at the acupuncture clinic for one of the student practitioners, I was greeted by a young MD whom I had met seven years earlier, when I was a weekly newspaper reporter covering his losing battle with the Internal Revenue Service as a war tax protestor. He turned out to be precisely the type of medical advisor I was looking for. His practice was holistically oriented and consisted mainly of AIDS and ARC (AIDS-related complex) patients who suffered from symptoms similar to, but significantly more serious than my own. The battery of standard medical tests this doctor administered were both reassuring and perplexing. They showed that I did not have AIDS, I did not have an ulcer, and I did not show incipient signs of any cancer or other potentially fatal disease. According to the blood tests and x-rays, in fact, I “had” nothing at all; all my vital signs were normal, in some cases excellent. I just happened to be terribly sick. By 1988, this kind of complex diagnosis was being labeled chronic fatigue syndrome (CFS), soon qualified thereafter as chronic fatigue immune dysfunction syndrome (CFIDS). The latter name was developed by CFS specialists and activists to lend a greater seriousness to the diagnosis, since it associates the disorder more closely with AIDS, autoimmune deficiency syndrome. With rare and questionable exceptions, however, CFS remains nonfatal. My physician administered a major shock when he prescribed for me a sedative called Xanax, citing his opinion that my very real symptoms were increasingly exacerbated by a high level of anxiety. My first response was, “I’m not anxious, I’m sick!” But I knew that my doctor was not the type to prescribe sedatives lightly, and I did not know what else to try. Thus there could have been little of the “placebo effect” occurring when, to my great surprise, I experienced a marked improvement in both my mood and my symptoms during the first few days on Xanax. Like the hero of Kurt Vonnegut’s Breakfast of Champions, I felt like I was walking on a trampoline, but the drug induced a welcome experience of release. My desperate hold on something inside myself had been chemically relaxed, and I recognized for the first time exactly what anxiety was by experiencing its relative absence. From my experience, I would advise anyone suffering from CFS or fibromyalgia to ask their medical doctor about the possible benefits and disadvantages of taking any type of drugs, and not to worry about the psychological stigma that might be attached to psychoactives. I was very uncomfortable with taking a drug seen as a sedative at first, but its benefits rapidly outweighed that disadvantage. Realizing that I had long failed to recognize my own anxiety opened up the second phase of my experience with CFS, as I moved from a focus on the physical experience to a focus on the psychological. In relatively short order I would move from there to a spiritual perspective, but I want to emphasize, especially for current CFS sufferers, that none of these perspectives canceled out the others. That is, I did not abandon medical or physical routes to wellness as I took on a more psychological perspective, and trying to comprehend my personal psychology was inextricably linked to the ego-surrender that I would eventually recognize to be at the heart of my CFS experience. In fact, understanding CFS required that I learn to recognize and take care of my wholeness as a physical, psychological, and spiritual being. Both allopathic medicine and conventional psychotherapy generally fail to take this overall view of our reality and our health, and I think this is one reason that both fields have had great difficulty treating CFS successfully. The drug-induced recognition of my anxiety propelled me into a short course (nine weeks) of psychotherapy, during which I began to pour out my family history for the therapist, who served me chiefly as a kind and patient sounding board. Up to this point, I would not have said that I was “in denial” about my traumatic adolescence. I liked to think that I had a sensible forgive-and-forget attitude about the difficult experiences that I clearly remembered. But talking to the therapist helped me realize that I had never confronted my history at deeper levels of feeling, where my conscious rationalizations were mostly contradicted. Through the array of symptoms triggered by CFS, those deeply imprinted feelings were now erupting in my awareness and my body. During and soon after this brief therapy, my mind and heart opened in an unprecedented way as I gradually surrendered trying to fight or be “in charge” of my illness. Instead, I began to take care of myself — which I was only then recognizing as an entirely different process. By completely shutting down the familiar patterns and activities of my life, the illness provided me with the uncomfortable “luxury” of enough time and quiet to reflect on the kind of life I had been living before I was stricken. I was dismayed to realize how narrow, driven, and ungenerous I had become — and tentatively I began to ask for some kind of guidance from beyond myself. These entreaties were my first attempts at real prayer, for the Christian prayers I had learned as a child had always been empty recitations whose purpose I had never understood. At that time I considered myself an atheist, and I still do, albeit with a much greater respect for inner resources. The guidance I sought came almost immediately, first in the form of a new curiosity: For the first time in years, I began to learn rapidly, reading across a broad spectrum of subjects ranging from immunology to Jungian psychology to metaphysics. I also saw a variety of health practitioners and counselors on a one- or two-visit basis, trying to sample as many perspectives on my experience as I could afford. CFS is a multi-faceted challenge, and for me the lesson of its diabolical variety was that I needed to develop more points of view on life — even if some of them seemed to give me contradictory information. Only later would I realize that spiritual maturity requires the willingness to “live in paradox,” simultaneously entertaining opposing perspectives on reality without feeling forced to settle on a single truth. I am a captive in a POW camp. I’ve been in a good mood, not taking the situation seriously, but talking to other prisoners makes me realize that I’ve been imprisoned for a long time. One woman who seems to be an old friend sits in my cell combing her hair, and sadly remarks, “I knew you before the life went out of you.” Suddenly I feel that I’ve been silent for years, and I start thinking of ways to escape — whether I can make a knife with a piece of paper, for instance. I have my dream notebook with me, and I realize the guards have made a mistake in allowing me to have it, because there is metal in the ring binding. It was also during the severest phase of my suffering that I became exceptionally sensitive to music, experiencing profound emotional release from listening to certain musical styles and rhythms (especially anything derived from my Scotch-Irish heritage). I made repeating tape loops of a few songs by the singer and instrumentalist Enya, listening to them over and over again for hours at a time. This induced an altered state during which the music unlocked torrents of tears, long fits of wailing, and sometimes an instinctive, trancelike dancing. Alone at home for most of the day, I could arrange these “letting go” sessions so as not to disturb anyone (or embarrass myself). Still, it took some time to learn to be uninhibited, even in near-total isolation. I was astonished to find myself overcome in these sessions by waves of bitter anger, wild grief, and deep desolation — feelings sometimes attached to particular memories, but just as often unspecific and seemingly primal. 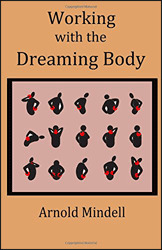 Also during this time I discovered the process work of Arnold Mindell, as described in his book Working with the Dreaming Body. Suggesting that the symptoms of an illness are directly comparable to the images in a dream, Mindell writes that people with chronic or extreme suffering may sometimes need to “amplify” or exaggerate their symptoms in order to draw out their hidden meanings or purposes. Since I was constantly trying to relax my chronic stomach tension, working in the opposite direction was a provocative and somewhat frightening idea. But experimenting with and refining Mindell’s concepts for myself led me through a number of dramatic healing experiences, at both physical and psychological levels. It also taught me a better understanding of tension as a bodily message — one that usually needs to be interpreted and attended to before it is “relaxed” away. Of all the helpful perspectives and teachings that influenced my journey through CFS, none affected me so strongly as the contemporary psychospiritual discipline known as A Course in Miracles (ACIM). I encountered it in November 1985, one week after my thirty-second birthday, while I was still on a steep slide into suffering and confusion. Thus I was primed for the first section of its Workbook’s 365 meditation lessons, which aims to break up one’s habitual way of looking at the world. The Course advises the student to look upon any difficulty in life with this focus: “I do not know what anything, including this, means. And so I do not know how to respond to it. And I will not use my own past learning as the light to guide me now.” (ACIM Text, Chapter 14, Section XI). Initially skeptical of the Course’s Christian, patriarchal language and its sheer mass and density, I was nonetheless pulled into intensive study by its electrifying relevance to my situation. “To be fatigued is to be dis-spirited,” suggests ACIM, “but to be inspired is to be in the spirit. To be egocentric is to be disspirited, but to be Self-centered in the right sense is to be inspired or in spirit. The truly inspired are enlightened and cannot abide in darkness.” (ACIM Text, Chapter 4 Introduction). Although I would continue to encounter other powerful teachings during my CFS experience — for instance, for about nine months I consulted the I Ching almost daily as a training in intuitive thinking — the Course rapidly became the centerpiece of my recovery from CFS. It vastly accelerated the recognition and release of the deep anger that I came to see as the primary stressor of my immune system. It also helped me to define my own sense of spirituality and bring it into the foreground of my life. Prior to CFS, my peripheral curiosity about spiritual experience was something I shared with few people and could not connect with my relationships, work, or sense of purpose in the world. The Course helped me to understand that I had become ill in large part because my mind and body were longing to regain the spiritual energy I had known as a child, but lost touch with during my adolescence and young adulthood. Through the slow, uncertain evolution of my CFS recovery that began in 1987 — encompassing many long plateaus, frustrating relapses, and heartening bursts of improvement — A Course in Miracles would serve as a steady beacon of inner guidance. It helped me make sense of all the physical, medical, and psychological work that still lay ahead in my recovery from CFS. My experience convinced me that CFS is a genuine medical disorder triggered by one or more infectious agents that take advantage of immune system weaknesses that may have a wide variety of causes. At other times in my life I have experienced short-term depressions with relatively brief and shallow physical side effects. By contrast, the distinctive symptoms of CFS hit me too hard and suddenly to be psychosomatic in the usual sense of the word. At the time I was struck with CFS symptoms, I was anything but consciously depressed. Both my business and my personal creative work were at a high point — if not entirely satisfying — and I was on the go most of the time. While I was experiencing noticeable stress in some relationships, I did not regard it as anything out of the ordinary. I just thought that some people — besides myself, that is — were hard to get along with. What I was not aware of was what I now recognize as “deep stress”: the fundamental and substantial tension of maintaining and defending the personality I had built for myself by my early thirties. This personality carried a great deal of unexplored, unexpressed resentment and sadness that had been invisibly sapping my vitality for years. Those suppressed emotions showed through in my personality chiefly as a sarcastic fatalism about life. Inwardly, I was often beset by circular and repetitive worries, although my calm demeanor mostly concealed this stress from other people. In spiritual terms, before CFS I was living only the life of the ego, intensely persecuted by my own self-doubt and regarding life as a high-risk game in which I felt I was constantly falling behind. My personality was beginning to crack under the strain of its own contradictions, but at the time I could not imagine another, more peaceful way to live. (I now suspect that this sort of deep stress underlies many kinds of illness, particularly those involving autoimmune failure.) I’m convinced that my deteriorating physical and psychological health made me susceptible to whatever viruses or other agents cause CFS; thus it is my conclusion that the syndrome is physiologically triggered but psychologically reinforced. More than any other illness or ailment I have experienced, CFS made it clear to me that the artificial division of mind and body made by conventional medicine is counterproductive and even dangerous. But for anyone suffering from CFS, the particular causes matter somewhat less than what will reduce the symptoms. If it is helpful to anyone, let me say that I made no progress with CFS as long as I wished for my life to return to its prior, “normal” state. Only when I realized that my previous life was devastated, and that I had to accept a life as a full-time sick person for an indeterminate length of time, did the progression of my illness begin to slow. When I surrendered the kind of control I was used to having, I could begin to consider the possibility of living differently when I recovered. As I did that, helpful information and intuitions about better ways to feel, think, and relate began to flow toward me. Since this article was first published, I consider myself fully recovered from the CFS siege I experienced from 1985 to 1992. Since 1997— the year I took on the challenges of becoming an independent publisher — I have had several stress-related episodes of exhaustion and one three-month bout of a tenacious flu. These episodes of compromised immunity did not involve the full complex of CFS symptoms, but rather the narrower range of symptoms one would normally associate with short-term exhaustion or influenza. There are significant ways in which I am more than 100 percent recovered from CFS — meaning that I became physically and emotionally healthier overall than before the illness struck. My general physical vitality is much stronger, largely because I exercise four to five times weekly instead of once or twice. Before CFS, I would have regarded my current level of physical activity as “too athletic” and anti-intellectual, out of sync with my personality. Now I have a better idea of what my body requires to be healthy, without such harmful and unnecessarily limiting ideas getting in the way. My emotional health improved profoundly because I unlearned, chiefly through the Course discipline, my erstwhile habits of blaming, resentment, and self-persecution. Now I have relatively few doubts about myself not because I have replaced them with “self-esteem,” but because I have learned to place my faith and confidence in my own internal teacher. The Course calls this the Holy Spirit; I call it a sense of silent, intuitive guidance that I feel within me, but whose source is certainly far greater and wiser than my own personality. I’m not saying that anyone with CFS must necessarily look on his or her illness as a spiritual crisis in order to get better. I am reporting that my own recovery did not begin until I surrendered my erstwhile pride, defensiveness, and self-image. Then I had to accept that my life would be redirected from the inside out in ways unpredictable and possibly unacceptable to my ego up to that point. How can we positively accept our own suffering? The words that come to mind from my own experience are “paradox” and “patience” — paradox being the decision to embrace pain as a teacher (for as long as we can stand it), and patience being what we must develop to endure that embrace fruitfully. What intrigues me about the CFS experience is that it virtually enforces the learning of patience. As frighteningly ill as I became during my initial nine-month crash into the depths of my sickness, I always had a gut-level certainty that it would not kill or permanently impair me. But after the first few months, I comprehended that recovery would take a long time and require a thorough reshaping of myself, so I might as well settle in for the long haul. Learning how not to aggravate my suffering with impatience for a rapid, total cure taught me a lot of compassion for the complexity and intractability of human suffering in general. A frequent criticism of holistic philosophies that seek psychological or spiritual meaning in physical illness is that they tend to blame the victims for their own suffering. I went through such a negative process myself a number of times. For instance, I would realize that my perpetually bubbling stomach was “angry” with suppressed hostilities, and then I would chide myself for being an angry, suppressed person. It took me a while to realize that the search for meaning and the attachment of blame are not the same process, even though it is a common human habit to react to unpleasant realizations with self-blame. Over time, I learned to stop blaming myself for being an angry and suppressed person, which allowed me to explore exactly what my long-buried angers were about. As they’ve surfaced, I’ve been able to question the justification for every form and variety of anger I’ve recognized in myself. Thus, when my stomach gets “riled up” nowadays, I’m better able to listen to its complaints without blaming myself or anyone else for my suffering. Likewise, I’m better able to listen to other people’s angry or upset feelings without blaming them for any problems or difficulties between us. When I first tried to write this article, I experienced a two-week relapse severe enough to cause me to postpone the project. I experienced another, lesser relapse when I began again three months later, but this time I knew I would be able to complete the work. 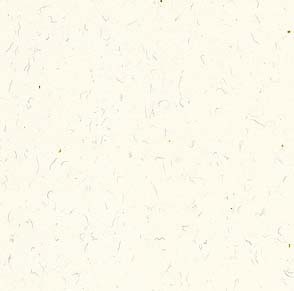 Internally, the second relapse felt like the shedding of an old skin, the final shaking-off of my identity as a CFS sufferer. Another way of putting it is that I was experiencing some deep reluctance to be fully well, despite my long-standing conscious desire to become so. I’ve learned that the ego is often divided against itself and can be more attached to the presumed nobility of suffering — and the familiarity of an old self — than to the vitality of health. Still another lesson of CFS for me was that I grew up with a number of unhealthy habits and had grown accustomed to a significant degree of physical and psychological suffering even before my immune system collapsed. Unlearning unhealthiness is a kind of surrender I must still face from time to time. But once one is firmly on a spiritual path the ego becomes subject to many deaths — that is, the surrendering of habitual fears, defenses, and beliefs — and always resists the next breakthrough of some aspect of the larger self. After the breakthrough — when one has become less selfish, more humble, less afraid, more open, and otherwise more wise — it’s clear that there was nothing to fear after all. As someone who has had to learn to compassionately decode my physical symptoms in order to recognize many of my more deeply rooted feelings, I now regard most of my brief illnesses as times of such ego death. After a while, this kind of dying comes more easily. One of the great gifts of my CFS experience has been a reduced discomfort with inner change. Most people, I believe, spend their lives evading experiences of ego surrender, with the result that they are largely cut off from their true inner spirit, as well as their full vitality. A life starved of spiritual vitality is a life of struggle, confusion, and misery; I know because I spent my teens and twenties there. The onset of CFS allowed the eruption of my long-suppressed spiritual life, and I will always be grateful for that despite the exceptional pain and discomfort that came with it. Whether spiritual rebirth is the potential meaning of CFS for other sufferers, I can’t say. But I would tell anyone that it’s certainly worth investigating. D.Patrick Miller is the author of The Forgiveness Book (Hampton Roads Publishing) released in 2017 in its sixth edition. 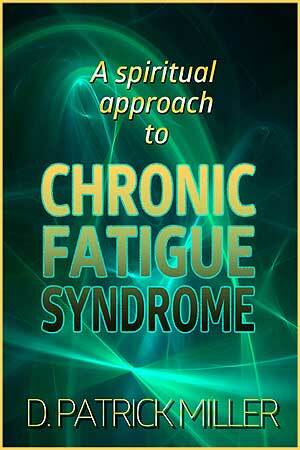 This book was a direct result of his experience with Chronic Fatigue Syndrome and the spiritual crisis it engendered. This feature story is also available as a free e-book in multiple formats.